Despite the generally held view that alcohol is an unspecific pharmacological agent, recent molecular pharmacology studies demonstrated that alcohol has only a few known primary targets. These are the NMDA, GABA(A), glycine, 5-hydroxytryptamine 3 (serotonin) and nicotinic ACh receptors as well as L-type Ca(2+) channels and G-protein-activated inwardly rectifying K(+) channels. Following this first hit of alcohol on specific targets in the brain, a second wave of indirect effects on a variety of neurotransmitter/neuropeptide systems is initiated that leads subsequently to the typical acute behavioural effects of alcohol, ranging from disinhibition to sedation and even hypnosis, with increasing concentrations of alcohol. Besides these acute pharmacodynamic aspects of alcohol, we discuss the neurochemical substrates that are involved in the initiation and maintenance phase of an alcohol drinking behaviour. Finally, addictive behaviour towards alcohol as measured by alcohol-seeking and relapse behaviour is reviewed in the context of specific neurotransmitter/neuropeptide systems and their signalling pathways. The activity of the mesolimbic dopaminergic system plays a crucial role during the initiation phase of alcohol consumption. Following long-term, chronic alcohol consumption virtually all brain neurotransmission seems to be affected, making it difficult to define which of the systems contributes the most to the transition from controlled to compulsive alcohol use. However, compulsive alcohol drinking is characterized by a decrease in the function of the reward neurocircuitry and a recruitment of antireward/stress mechanisms comes into place, with a hypertrophic corticotropin-releasing factor system and a hyperfunctional glutamatergic system being the most important ones. Br J Pharmacol. 2008 Mar 3 Vengeliene V, Bilbao A, Molander A, Spanagel R. 1Department of Psychopharmacology, Central Institute of Mental Health, Mannheim, Germany. Conscious hypnosis as a method for patient motivation in cervical headgear wear--a pilot study. The aim of the present study was to assess the efficiency of conscious hypnosis on patient cooperation. The subjects were 30 patients (14 females and 16 males) with a skeletal Class II division 1 malocclusion, divided into two equal groups, a control and a study group. The mean age was 10.78 +/- 1.06 years for the hypnosis, and 10.07 +/- 1.09 years for the control group. Both groups were treated with cervical headgear containing a timer module. The patients were also asked to record their actual wear time on timetables. The hypnosis group patients were motivated with conscious hypnosis while the control group were given verbal motivation by their orthodontist. The timer modules were read at every visit and compared with the timetables. Analysis of variance was used to determine the differences in measurements at each time point. For comparison of the groups, an independent t-test was used. A statistically significant decrease (P < 0.05) in headgear wear was observed in the control group from the first to the sixth month; however, the difference in the hypnosis group was not significant. This result indicates that conscious hypnosis is an effective method for improving orthodontic patient cooperation. There was a low correlation between actual headgear wear indicated by the patient and that recorded by the timing modules, which showed that, timetables are not consistent tools for measuring patient cooperation. Eur J Orthod. 2008 Feb 8 Trakyai G, Sayinsu K, Esref Müezzinoglu A, Arun T. Department of Orthodontics. BACKGROUND: Approximately 10% of opiate drug addicts on methadone maintenance treatment (MMT) continue using heroin and additional street drugs simultaneously. They constitute the most difficult to treat population in MMT centers as they present extremely difficult and negative behaviors as well as medical problems. Medical hypnosis is a proven effective medical intervention to alleviate pain, lessen anxieties, as well as being partially effective in treating nicotine addiction. One of its advantages is the ability to bypass the critical conscious drug addict's reluctance to the treatment process. AIMS: This article aims to describe a group hypnosis treatment of drug addicts and to present a clinical description of its outcomes and effectiveness in lessening simultaneous use of heroin and other street drugs among addicts on an MMT program. METHODS: The article describes the group hypnosis therapy for 10 methadone patients who continued street drug use, in two 5 patient groups consisting of 10 weekly sessions. Urine drug tests were checked at 3 points of time, before intervention, half a year after termination of hypnosis, and two years after. Follow-up also consisted of a semi-structured interview immediately after treatment termination to evaluate changes in emotional and functional status. RESULTS: One patient did not complete treatment due to a major operation, the remaining 9 (90%) completed treatment. All patients (100%) completely stopped use of any street drugs and results remained stable for 6 months after end of treatment. Two years after end of intervention, 7 out of the 9 (78%) remained clean of use of heroin, but 2 (22%) returned to partial use; 6 (67%) of the patients returned to partial use of benzodiazepines, none (0%) showed permanent use of marijuana or cocaine. CONCLUSIONS: As this article is a clinical description of an intervention on a small selected group of patients, the initial and partial results point to the possible potential of group hypnosis in the reduction of street drug use. Additional controlled research is needed in order to check the effectiveness of such an intervention on this specific group of patients. Harefuah. 2008 Aug-Sep;147(8-9):679-83, 751. Kaminsky D, Rosca P, Budowski D, Korin Y, Yakhnich L. Department for the Treatment of Substance Abuse, Israel Ministry of Health. Researchers from the Department of Psychiatry at Yale University School of Medicine compared the effectiveness of disulfiram (Antabuse) with placebo medication as well as against Cognitive Behavioral Therapy (CBT) and Interpersonal Psychotherapy (IPT) in reducing cocaine use in a randomized, placebo-controlled, double blinded (regarding the meds) design. Although hypnotherapy has been applied to alcoholism for over a century and is accepted by the AMA as a medically valid technique, the effectiveness of hypnosis in treating alcoholics remains controversial. The Center for Integrative Medicine at the University of Maryland School of Medicine in Baltimore launched a cross-sectional survey of intravenous drug users to determine the extent they made use of complementary and alternative medicine (CAM) therapies. When psycho-educational groups were compared to groups that taught progressive relaxation and visualization in an outpatient chemical dependency treatment program, both interventions showed similar improvement on the 76 subjects in the study. Both groups met for 6 one-hour sessions over the space of 3 weeks. Ronald Pekala and fellow researchers from the Biofeedback Clinic of the Coatesville VA Medical Center in Coatesville, PA, studied the effectiveness of a self-hypnosis protocol with chronic drug and alcohol patients in increasing self-esteem, improving affect, and preventing relapse against a control, a cognitive-behavioral (TCB), and a stress management (attention-placebo) group. Participants were 261 veterans admitted to Substance Abuse Residential Rehabilitation Treatment Programs (SARRTPs). Participants were assessed pre- and post-intervention, and at 7-week follow-up. Hypnosis was once a viable treatment approach for addictions. 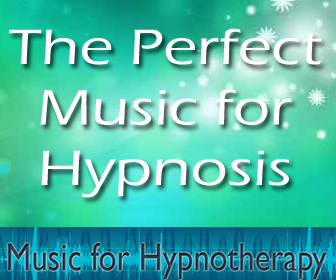 Then, due to hypnosis being used for entertainment purposes many professionals lost confidence in it. However, it has now started to make a comeback in the treatment of substance abuse. The approach described here, using hypnosis for treatment, is borrowed from studies effectively treating alcoholism by using intensive daily sessions. 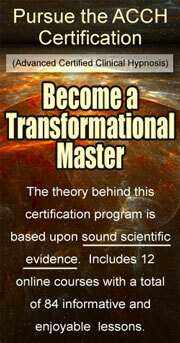 Combining the more intense treatment of 20 daily sessions with hypnosis is a successful method to treat addictions. The treatment has been used with 18 clients over the last 7 years and has shown a 77 percent success rate for at least a 1-year follow-up.